Bacon is one of life’s greatest pleasures, whether paired with fluffy pancakes, sausages or even with ice cream. It’s the perfect comfort food which satisfies every savoury craving a person can have and quite frankly I love it. But sometimes cleaning the fat out of the pan after cooking some lovely rashers of porky goodness can be just a little bit gross. Well that is now a problem of the past, thanks to the introduction of the bacon toaster, a glorious device which will cook your bacon in two minutes and is super easy to clean. 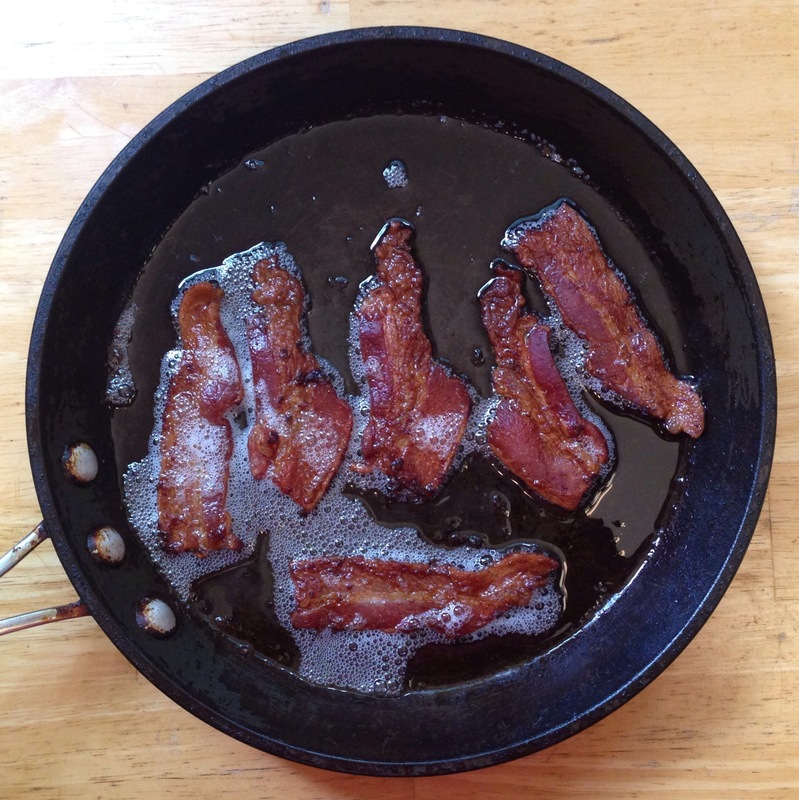 The design of the contraption means that all the fat from the bacon runs off and into the bottom, which also makes the bacon relatively more healthy. All you have to do at the end is clean the tray at the bottom. The good stuff can be cooked to a crispness of your choosing, and can stay in the toaster for up to 12 minutes for those who like a shattering rasher. 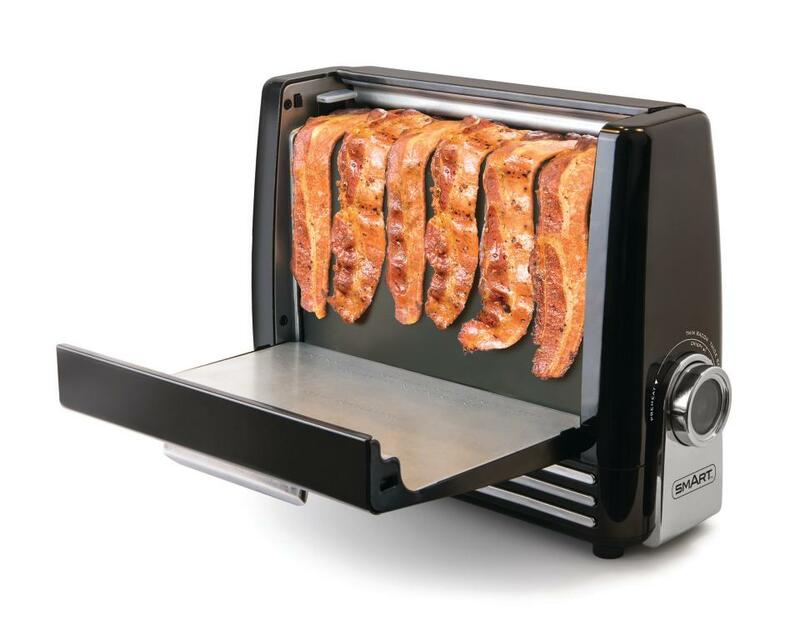 The bacon toaster has already made its way onto shelves in the US. It went down a storm and the creators are hoping it will fly off the shelves on this side of the pond. 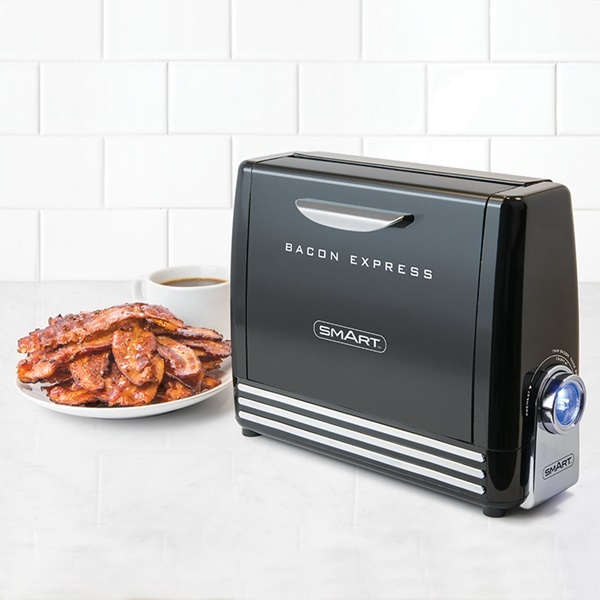 The ‘Bacon Express’ can be bought from cuckooland.com for around £49.95, which makes it the perfect Christmas present which you will probably use more than whoever you bought the gift for. The site is also offering a lovely offer first customers of £10 off and free delivery when you spend over £100. 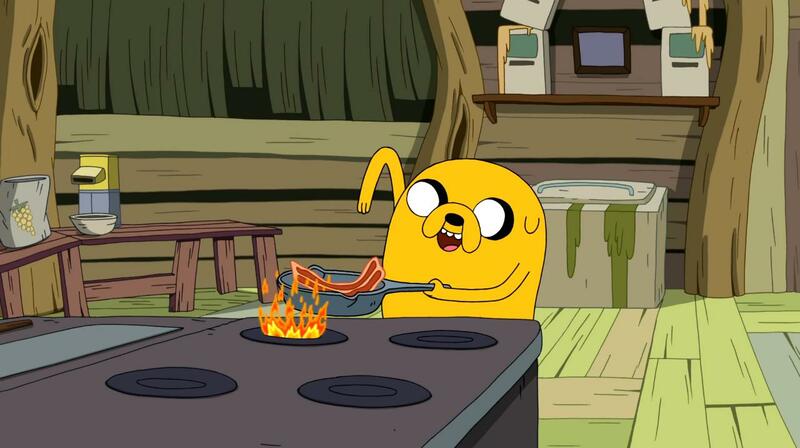 Now go forth and cook bacon ’til your heart is not so content as your belly will be.